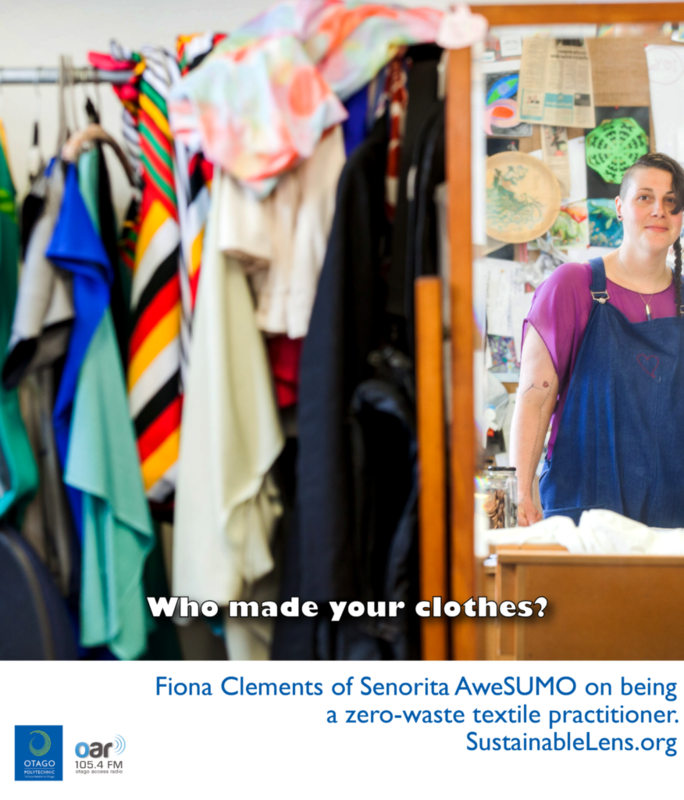 Fiona Clements of Senorita Awesumo and Sustainable Dunedin City describes the many challenges of the clothing industry – not least of these that it is a business model that relies on changing fashions. She describes social injustice, water use, manufacturers’ waste (call it what it is – wasted resource). But rather than complaining, she has taken a positive approach to activism – making a difference through her own business and leadership in not-for-profit community sewing room Stitch Kitchen.